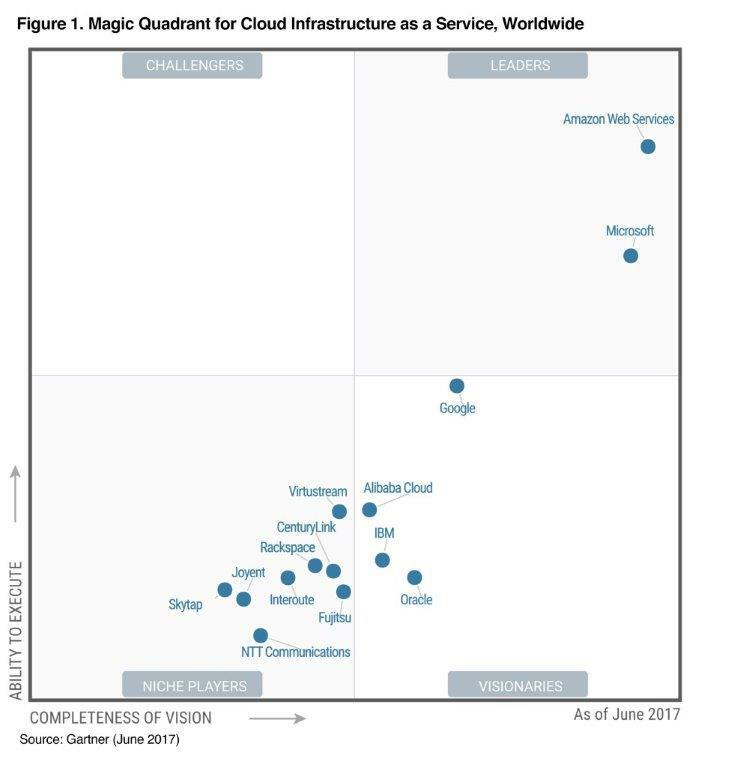 In the 2017 Magic Quadrant for Cloud Infrastructure as a Service, Worldwide, for the 7th straight year, Gartner placed Amazon Web Services in the “Leaders” quadrant and positioned the furthest on completeness of vision and the highest ability to execute axes. At AWS, we invest in customer success through an accelerating pace of innovation with a focus on operating efficiently at massive scale, and growing a partner ecosystem already tens of thousands strong. We have worked closely with industry leaders from Salesforce to McDonald's, Comcast to Capital One, to help them transform their businesses by migrating and rethinking existing applications, as well as pursuing new solutions in areas like artificial intelligence, IoT, and big data. Disclaimer: This graphic was published by Gartner, Inc. as part of a larger research document and should be evaluated in the context of the entire document. The Gartner document is available upon request from Amazon Web Services.